Who wouldn’t want a site which is similar to “Google Offers“. As we were approached by many users with the following query – Have you got anything similar to “Google Offers“? 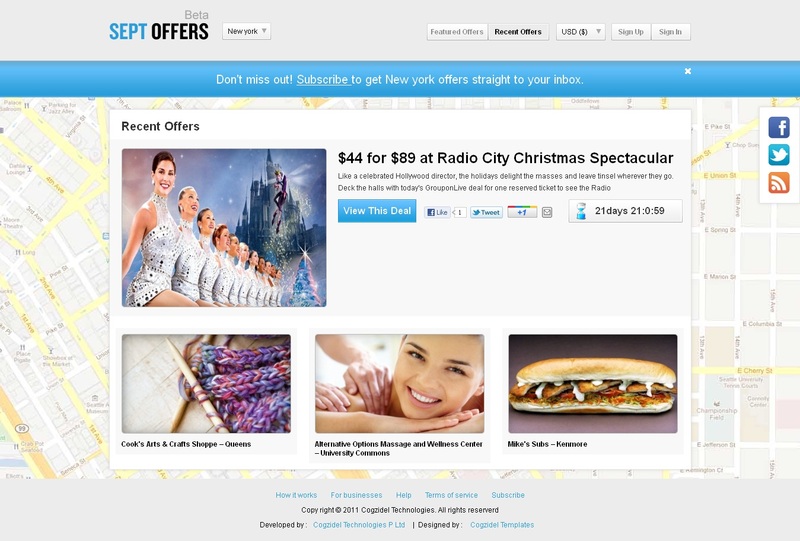 Our technical team worked on it and has come up with the one similar to it named “SEPT Offers – Groupon clone theme“. If you are looking to run your own site similar to “Google Offers“, you can go ahead with a combination of SEPT- Groupon Clone and this theme which would add great asset to it as it will give a fresh professional look to your site. Kindly note that this theme would be filled with more significant updates in the days to come. Get a feel of this amazing groupon clone theme now!!! Previous Entry Why visitors leaving website and the major reasons of higher bounce rate?